Most people would go the extra mile to have some time to relax. After all, we all need some form of relaxation to help us get into the right mood once we get back to our daily routine. Not having enough time to enjoy a vacation – or not having the money to spend for one – may limit our options to unwind and recharge. Fortunately, technology has become so advanced that a lot of things that seem impossible back then are already happening now. From wearable smart devices to amazing kitchen gadgets, more and more devices are making our lives easier and more fun. In the world of video games, gone are the days when we can play games at the arcade alone. Gaming consoles have captured the heart of video gamers worldwide, in the comfort of our own homes. On top of that, some companies have ventured into making the video gaming experience more awesome by crafting an ingenious and strategic invention: the gaming chair. There is a wide range of gaming chairs to choose from. Some may look exactly alike but when you look into the details of each, you would notice the differences. To help you decide which one to choose, here are some guide questions. Is it wise to invest in a gaming chair? The cost of a gaming chair varies widely, even though you might think that they all look the same. However, compared to a conventional seat, gaming chairs are designed to make the gamer as comfortable as possible. With the cost comes the quality of the material and the comfort that it can provide you. How different is a gaming chair from just any other chair? Having to sit for long hours, you should choose an ergonomically designed gaming chair which can help support your back. Moreover, sitting on an uncomfortable chair may cause stiffness of the back and lower back pain. In short, a gaming chair provides a number of health benefits compared to any other chair. What are some common kinds of gaming chairs in the market? Gaming chairs come in many shape and sizes. Some of these include Bean Bag Chairs, Racing Seats, Racing Simulators, Pedestal Chairs, and Video Rockers. What is the best brand of gaming chair to buy? Doing an quick online search can already help you decide which gaming chair brand is the best. Read reviews of customers who have purchased gaming chairs, so that you can determine which is the right one for you. Some of the best gaming chairs may be found here. Will using a gaming chair affect how you play? Definitely! Some gaming chairs are built according to the type of games you play. Example, if you like racing cars, a Racing Seat would be perfect. It is designed with a tall back to support your back and neck, thereby making you more comfortable and relaxed while playing. 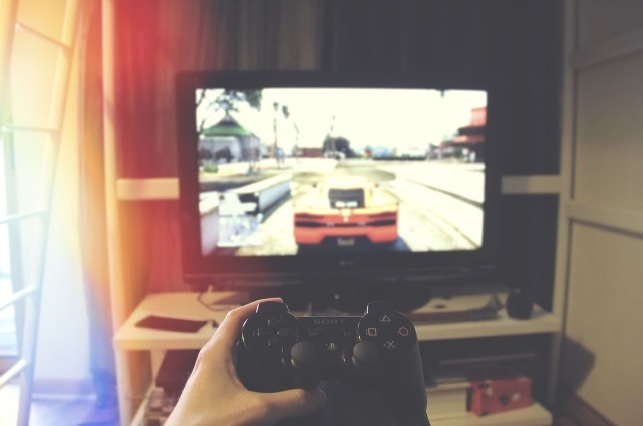 Playing video games for hours on end may cause some health concerns such as eye strain and nerve damage. However, with the right gaming chair, you could be on your way to hours upon hours of gaming without worrying about your nerves and posture. Whether you are using your desktop or gaming laptops, make that you choose a good gaming chair for a more enjoyable experience.